Anthony 'Tippa Irie' Henry is a raggamuffin and reggae-dancehall artist hailing from the UK. Slur Bar and Wat A Gwaan have secured his services for a special gig on Friday night. 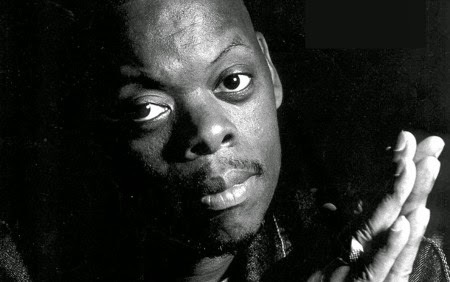 Tippa Irie is a vocalist and DJ of the highest calibre, with a résumé that boasts collaborations with the Black Eyed Peas, UB40 and the Long Beach Dub All Stars. The 25-year veteran MC is a hugely respected and influential figure on the UK music scene and a progenitor, in the 1980's, of the 'Raggamuffin' reggae style. British artists such as Anthony Henry and Pato Banton embraced the ragga sound exemplified in 1984 by Wayne Smith's 'Under Me Sleng Teng' – wherein the traditional live reggae backing band were ditched from the recording session and replaced by the digital and brutal, yet utterly immediate, sound of primitive synthesisers and drum machines. Tippa is visiting Cambodia for the first time in conjunction with shows in Manila and Saigon. He headlines an evening of entertainment at Slur that includes Wat A Gwaan DJs Alan Ritchie and DJ Bree, MC Kaztet D and a full live set from Dub Addiction. It is only fitting that when a genuine international raggamuffin comes to town, he should be supported by the 'only ragga-dub band in Cambodia'. Professor Kinski and his Dub Addiction team, still working on their second album of innovative genre-defying Khmer-fusion music, must surely be looking forward to Friday with great relish. While we're at it, Television Ted would like to make a correction and an apology to Dub Addiction and Leng Pleng readers – Dub Addiction are playing a show at Equinox on the 19th July, not the 19th of June as reported in last week's wrap. There will be less raggamuffin and more rockabilly at Sharky Bar on Friday when Joe Wrigley & The Jumping Jacks return to the live stage following a two-month break. The unabashedly retro band purvey two sets of stomping country and rockabilly-swing and will be aided and abetted on this outing by Psychotic Reactions lead guitar hero Jan Fex. 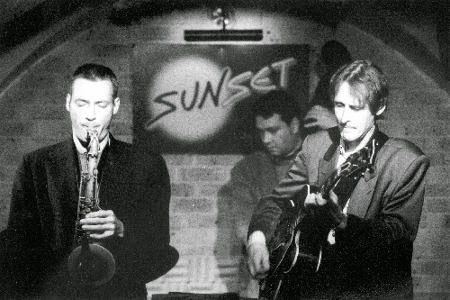 Jan lends a hard edge to the band's material, which is selected from the mid-to-late 1950's period. It was the magical musical heyday of early Elvis, Eddie Cochran and Buddy Holly – when country, blues and elements of jazz guitar-playing combined with an explosive energy to create something called 'Rockabilly' “...long before they called it rock'n'roll”. Tip: the impassioned, affected Southern drawl and driving sound of Joe and his Jacks goes particularly well with cheap bourbon whiskey. Bears are the unlikely topic for Saturday's gig of choice at FCC – The Mansion, when rising Cambodian star Jimmy Kiss will perform at the event entitled Beers4Bears. This show has been organised by Free The Bears – an organisation “working with local governments to protect Asia's threatened bear populations by strengthening wildlife laws, rescuing and providing sustainable sanctuaries for bears and educating and empowering local people to protect their forests and wildlife.” Jimmy let Leng Pleng know that he will be performing his own original songs and covers with a full live band for this gig. Read more about Jimmy's life and his music in Leng Pleng's 'An Interview with Jimmy Kiss'. Meta House offer another great classical music experience on Wednesday. Italian pianists Giovanni De Cecco and Alberto Firrincieli visit the ground floor exhibition/performance space to give a recital of works by composers Schumann, Brahms and Rubinstein. 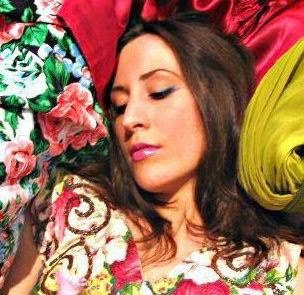 Watch this space for more from Amanda Bloom in the weeks leading up to the release of what promises to be a profoundly influential and significant collection of original musical creations. Until next time, take care of yourself and... see you around the traps! Television Ted back at the wheel again this week, driving you into a rundown of the musical menagerie that the local scene has on offer. Jack Diamond, the suave and elusive international man of mystery, has slipped up to Battambang for some undercover LP assignment. He will be back in the driving seat again soon. Along with an unfettered line-up of quality gigs throughout the coming weeks, make sure to look for the return of one of the countries coolest bands - Dub Addiction at Equinox. This band has been through some line-up changes since their heady days of 2012/2013 but their unique fusion of reggae / ragga / dub with the Khmer lyrics of Jimmy Kiss and the electronic infusions of Professor Kinksi will always be something special. Get in amongst it and get on the live video feed from one of the countries top venues tonight. Jimmy Kiss will feature, together with Phil Javelle, for the second flight of the Songkites at Doors this Friday evening. If you look to the right of your screen you should see a link to the album entitled “songkites season” 1. Still on Thursday, there will another very special gig from the MetaHouse – a venue that always features offbeat creativity and sublime uniqueness. This time the venue features the Indonesian mix of filmmaker Ismail Fahmi Lubish who will be extolling the music from his films. This will be followed by a live performance of Phnom Penh’s far-out electronica outfit Electric Universe. Featuring Tim Sirois on guitar, James Speck on the kaoscillator and DJ Nicomatic. Cool! Also the Sinville Roadshow will be at La Croisette before the next World Cup of Football match starts at 11:00PM. This Saturday is the 21st of June – and you all know what that means – right?? No??? It means it is the annual Fête de la Musique – the time when all the musicians hit the streets with free fun, laughter and most of all music!!! Well that is only going to be happening in Siem Reap this year when the most famous Pub Street will be chock-a-block from 2:00PM with at least 15 different acts! Tremendous! Don't worry, the spirit of the festival will hit Phnom Penh one year but this year you're going to have to be satisfied with being indoors and paying north of $3.00 or $4.00 a glass for wine and beer. The festival hits Le Bar and Memphis Pub starting at 6:00PM and 10:30PM respectively. This has always been a gig to look forward to at Memphis and Bona and the boys are sure to get some great combinations together with a long list of special guests. I would totally encourage you to get down to the Latin Quarter on Saturday night also - what a great venue for new Latino band Bacano. This semi-outdoors venue is right in amongst the hub-bub of Daun Penh on the corner of Streets 19 and 178 - a great party atmosphere is almost certainly guaranteed – with lots of beer, wine and tapas. Look for Brent Caughey on percussion and backing vocals and buy him a beer – he totally deserves it! Also on Saturday join the crème of the local music scene at the FCC as we say farewell to the Grass Snake Union. This will be the final time ever for the band as they play a blend of bluegrass/country standards mixed in with surprising bluegrass versions of pop songs. The line up has changed a lot over last few years but with two more of the original members now moving away from Cambodia, it's time to call it a day and lay the Grass Snake to rest... after one last party. The line-up for Saturday's gig features Greg Lavender (leaving)(drums), Daniel Talstra (leaving) (violin), Conrad Keely (guitar/vocals), Joe Wrigley (guitar/vocals), Jose Encinas (Banjo), and Andre Swart (bass). If none of the above takes your fancy then don't forget the real rock & roll grunge that you can experience at Sharkys. This week the venue features full-on rock at it's unique best with Sangvar Day hitting the stage on Friday and new band 3some on Saturday night. Also the RiverHouse Asian Bistro continues it's great line up of quality gigs all week – with particular mention that must be given to Sunday's Velvet Nights – totally worth it. From Ted, Rob, Jack and I here in the back streets of Phnom Penh, have a great weekend, be cool with each other and see you around the traps. Here's this weeks gig-guide. Globe-trotting tenor saxophonist Martin Jacobsen returns to Phnom Penh tonight with his trio that also encompasses pianist Vinh Lê and bassist Duylinh Nguyen. The jazz group are playing a special one-off gig at Raffles Le Royale – an appropriately plush setting for this high-calibre ensemble. More information here. Ramone Blitzkrieg, Sangvar Day and Psychotic Reactions join together at Slur Bar on Saturday night for the second Punk's Not Dead festival. All three of these hugely energetic acts bring the kind of ear-splitting, pogo-inducing sound that should ensure a healthy flow of passers-by wandering over from Street 51 to find out just what the hell is going on over there... if punk is your thing then this will be a very entertaining and cool triple-header. 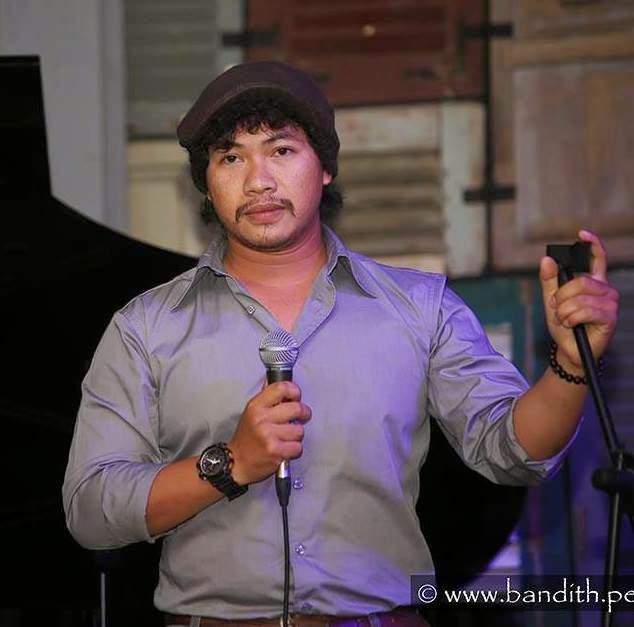 Phnom Penh musicians have a great choice of open mic sessions to visit on the quieter days of the week. Many a Phnom Penh band has been formed at these informal gatherings. Some of the hosts have recently changed but the concept remains the same: turn up with your instrument and get involved - either playing solo or with whoever is around. Newcomers to the city music scene will especially benefit from a musical tour of these nights. Most of the venues also offer a free beer or two to performers. Smokin' Kenny Smith continues to organise the Sundance Inn & Saloon open jam on Tuesday nights. Sundance is usually bustling with guests and tourists due to it's location on 'Pub Street' 172 and Kenny is a local legend when it comes to blues guitar. Sophie Rose is currently hosting the Wednesday sessions at Show Box, where a very cool and arty crowd are always happy to hear something original and out-of-the-ordinary. Jet Odrerir oversaw his final open mic at Paddy Rice last Thursday but the night he and Melanie Brew named The Electric Eclectic Limelight Jukebox Jam will continue under the weekly supervision of Joe Wrigley. Paddy Rice has a drum kit and a steady flow of riverside passers-by. 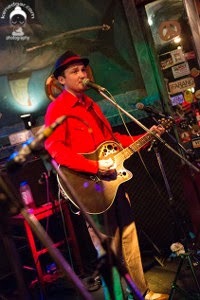 Joe also hosts the more intimate and acoustic-based Sunday Sundowner Sessions at Alleycat Cafe on Sunday afternoon. Sharky Bar is well-furnished for jamming on Sunday evening when Pavel Ramirez hosts the session. Pavel is one of the best guitarists playing around Phnom Penh at the moment and he seems happy to share his laid-back and sympathetic musical style with anyone wishing to take the stage. Slur Bar also open their stage to all musicians every other Monday at Bring Your Skillz, while Equinox do likewise on the last Wednesday of every month. Until next time, here's a video of the Martin Jacobsen Trio performing last year at Sofitel Phnom Penh.